This free event is the perfect opportunity for current homeschoolers to get re-energized, and for those thinking about homeschooling to ask questions and get real answers. A limited number of tables and half-tables are available by advance reservation only. Those who do not register in advance may bring a blanket and use the lawn to sell. To reserve a free space to sell at the flea market or for further information, please call our Homeschool Parent Advisor at 847-497-4407. Stop in anytime during the school day and visit. Book Sale, Bake Sale from 9:30-2:00 p.m.
for directions and more info please refer to website. Please feel free to pass this invite along to other homeschoolers and homeschool groups. 28 W 240 North Ave. The main entrance is on St. Charles Road. I want to make you aware of an exciting opportunity awaiting those who struggle to learn! In the fall of 2010, Hope Home School Cooperative will open its doors to those who struggle to learn and their siblings who don’t. Come to an informational meeting regarding this program. If you are unable to attend or for more information, contact Julaine Swithers at sjswit@yahoo.com. Spring is in the air and excitement is building around TEC plans for next year! On Monday, March 22, there will be a “TEC Open House.” You and anyone that you know that might be interested in joining TEC are welcome to come and observe the classes in action. Also, a “Teacher Expo” will take place from 12-1 to give you the opportunity to preview what the TEC teachers are planning for next year. Tri-Cities Enrichment Co-op is a Christian homeschool co-op designed to foster academic excellence through once-a-week selected classes taught by some member-parents and other qualified instructors. Course content is developed and taught by these respective course instructors. Classes are held once a week on Tuesdays for 24 weeks (30 weeks for high school courses). 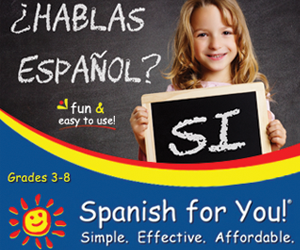 We offer classes for grades kindergarten through high school. We would like to invite the Chicagoland Homeschool families to our 3rd annual Physics with a Bang! Holiday Lecture and Open House at the University of Chicago. Physics professors, Heinrich Jaeger and Sidney Nagel plan to present their favorite physics demonstrations during the Holiday Lectures on December 12th (repeated at 2:00 pm and 4:30 pm). From 2:00 pm to 5:30 pm, there will also be an opportunity to talk to University of Chicago scientists and engage in hands-on activities during our Open House.